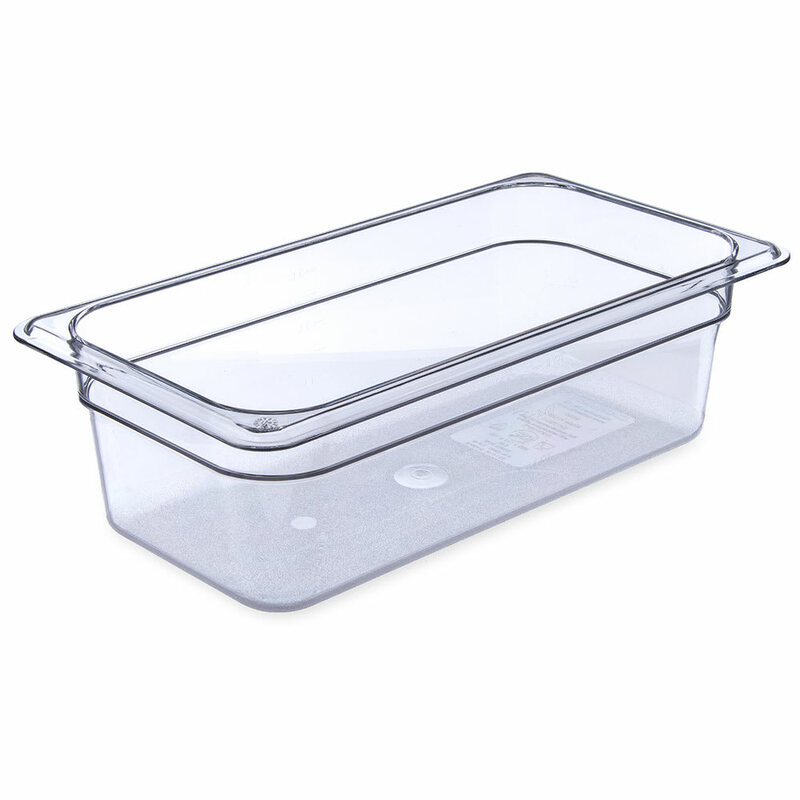 The Carlisle 3066107 StorPlus™ third-size food pan is made of polycarbonate, which is durable for heavy use and withstands temperatures ranging from -40 to 212 degrees Fahrenheit. Its reinforced top and bottom corners are resistant to cracking and chipping, and since the material is clear, users can identify the contents. 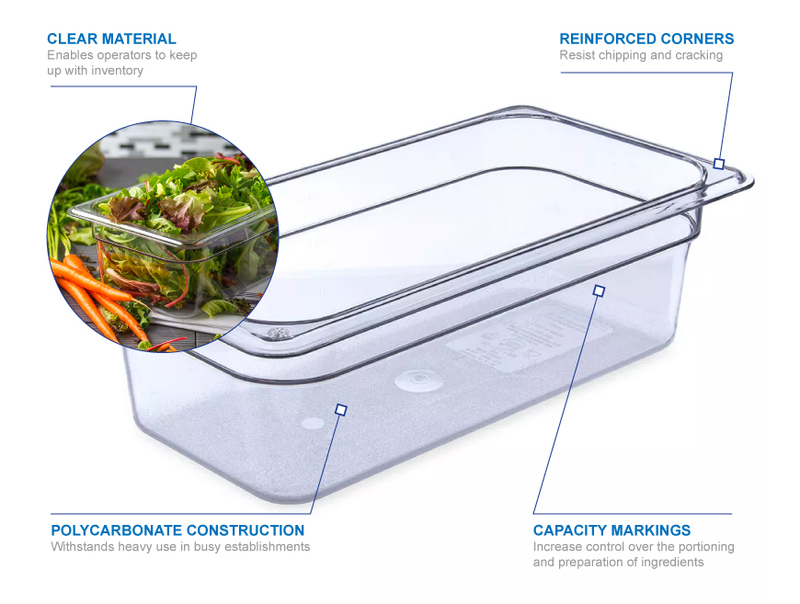 Its bottom is designed to accommodate spoons, enabling all product to be scooped up for serving. 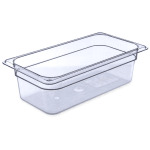 This pan has molded-in capacity indicators in both quarts and liters to judge portion sizes and prep ingredients.